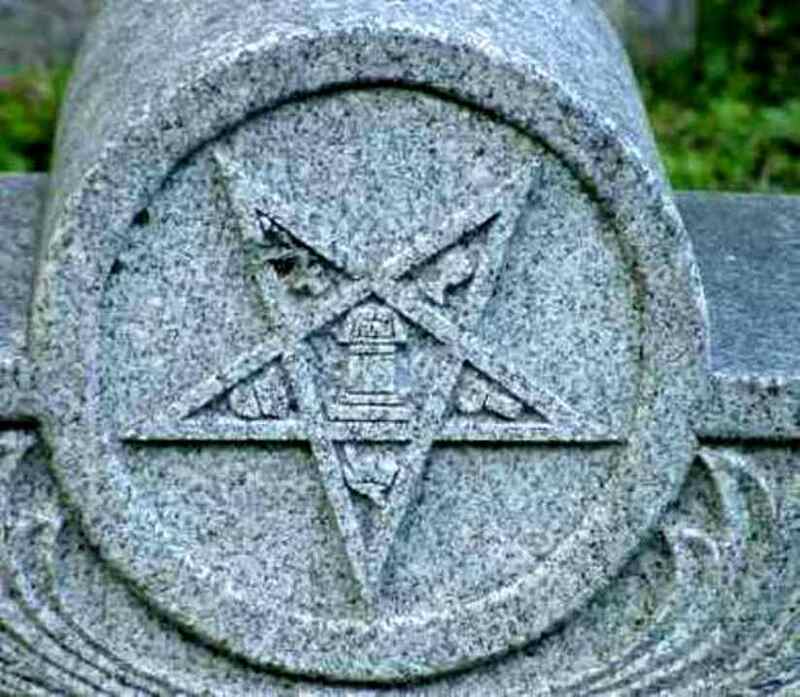 Have you ever toured a cemetery and seen mysterious symbols on the tombstones and wondered what they meant? Below are some answers. The entwined letters D and R, the crescent moon, the dove and the three-link chain are all common symbols of the Daughters of Rebekah. The Daughters of Rebekah is the female auxiliary or ladies branch of the Independent Order of Odd Fellows. The Rebekah Branch was established in America in 1851 after much controversy regarding the inclusion of women as Odd Fellow members in the Order. The branch was named after the Rebekah from the bible whose unselfishness at the well represents the virtues of the society. A broken branch means a very young adult, child, or infant has died. In contrast, the symbol of longevity is wheat--a life that was harvested by the Reaper when it was due time, placed on the graves of the elderly. Ancient Order of United Workmen. They began by providing financial support after the American Civil War. The National Fraternal Congress is still in existence today with 121 member societies. 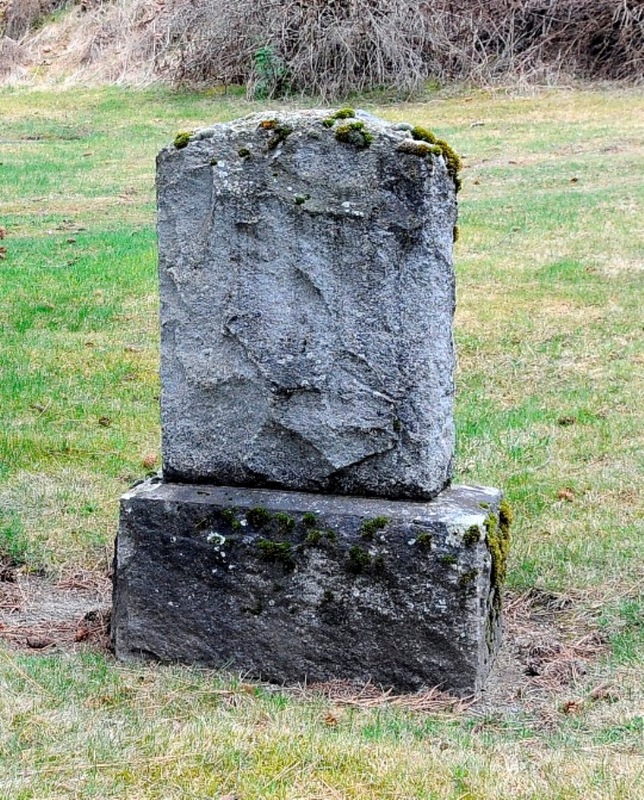 Sometimes an unmarked tombstone means that no one knows who is buried there. 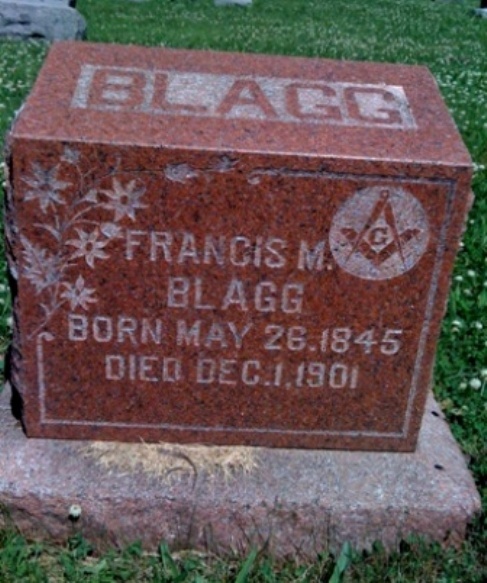 However, a deliberately unmarked grave signifies disdain and contempt, perhaps for a crime committed or some other reason for ostracization while the person was alive. No, this is not an upside down pentagram nor any form of Satanism. 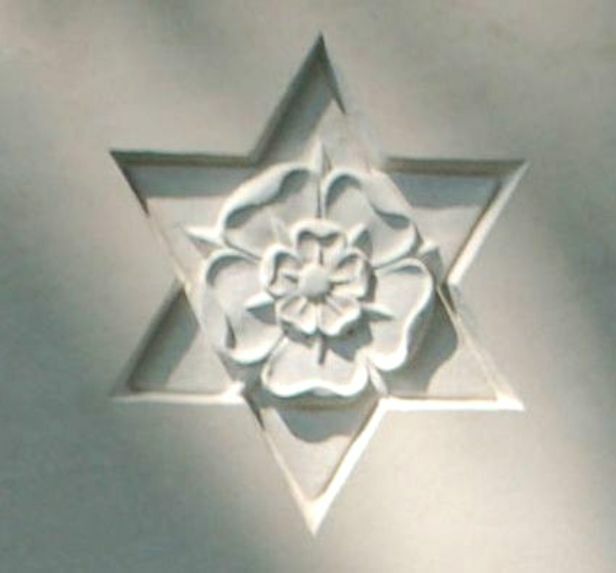 This is the symbol of the Order of the Eastern Star, which is a Masonic appendant body open to both men and women. A Tudor Rose usually signifies someone of English descent. Clasped hands signifies a married couple. The woman's hand is always on the left, the man's on the right. Chi and Rho are the first two letters (ΧΡ) of "Christ" in Greek ΧΡΙΣΤΟΣ. 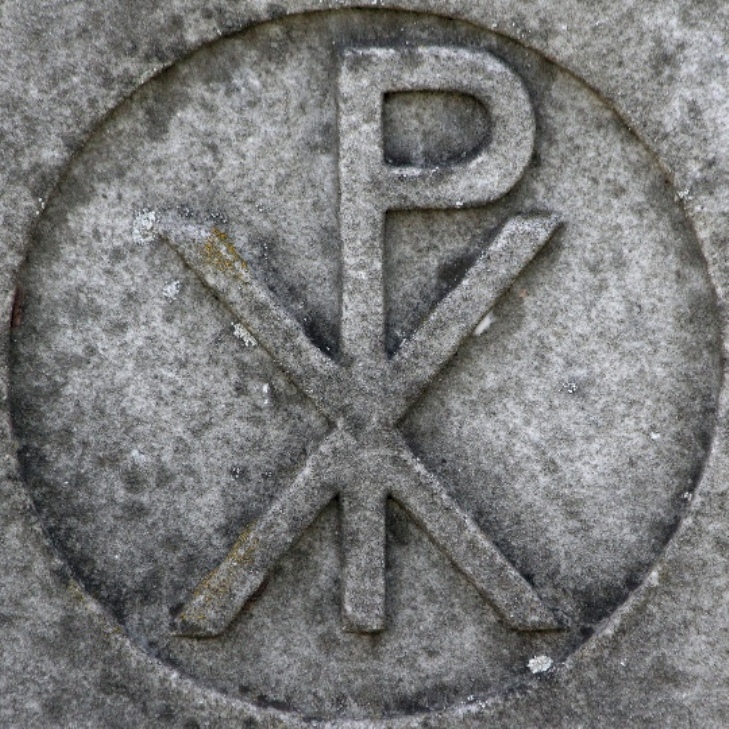 It is one of the earliest symbols of Christianity. The beehive is the symbol of productivity, often used by the Freemasons. 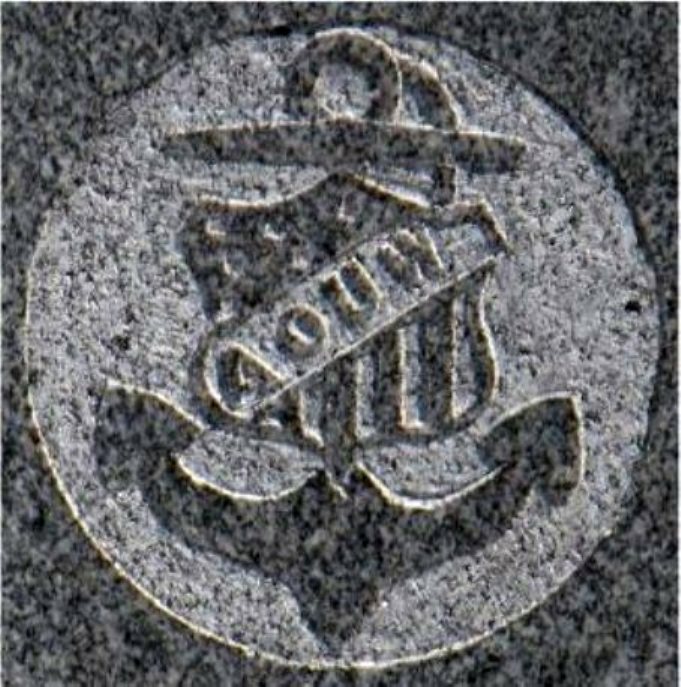 Another Masonic symbol is called a “compass and square” with a 'G' in the middle. The G stands for God. The family of this decedant is convinced their loved one is in Heaven. 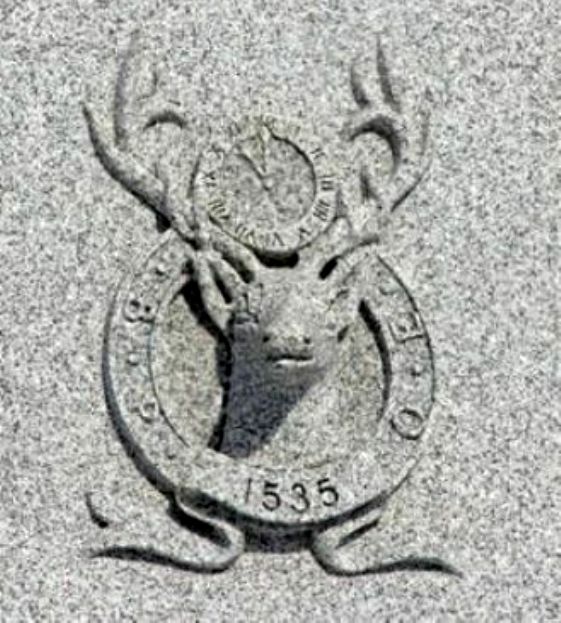 Represents membership in the Benevolent and Protective Order of the Elks, one of the largest and most active fraternal organizations in the United States, with over one million members. 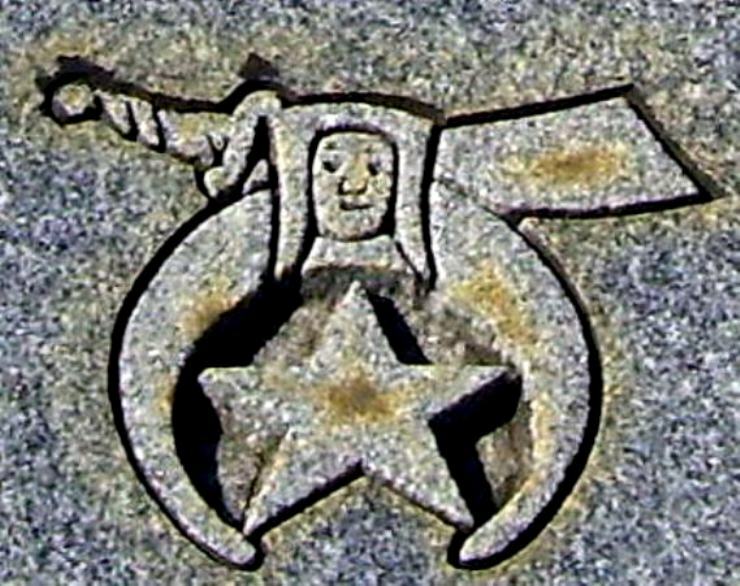 This decedant was a member of the Shriners, an organization which has founded many hospitals for children. An eagle suggests courage and probably a United States military career. 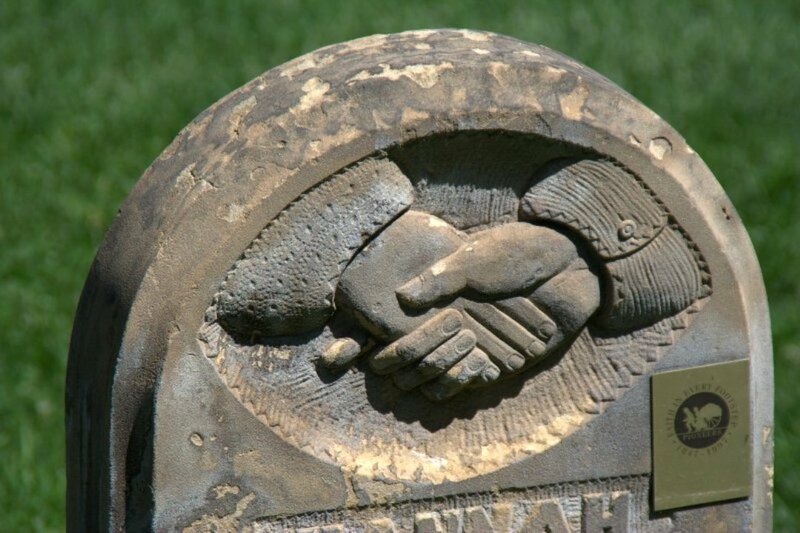 This could be the most interesting tombstone of all. In my opinion, it is the creepiest one on this page. The Eye of Providence (or the all-seeing eye of God) is a symbol showing an eye often surrounded by rays of light or a glory and usually enclosed by a triangle. It represents the eye of God watching over humanity. The snake can be interpreted in one of two ways. First, it could symbolize the original sin of mankind, or of evil in general. 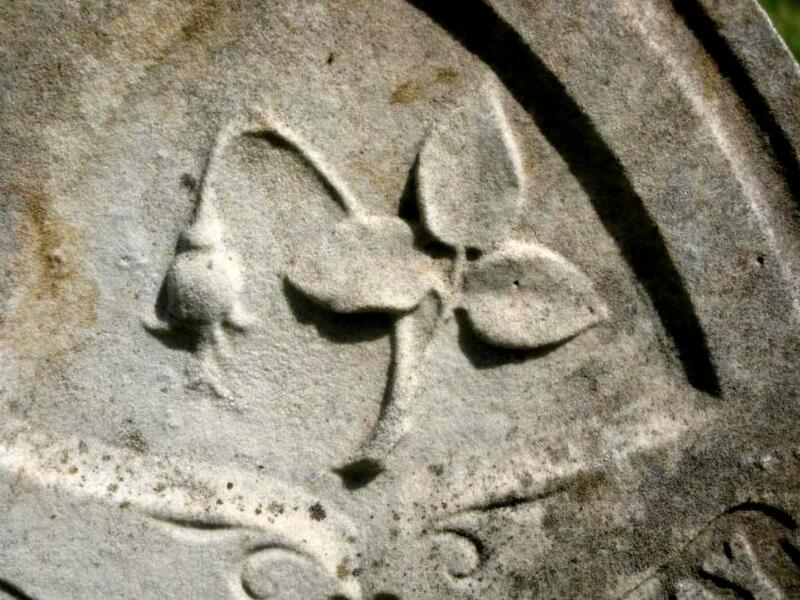 This is the most likely explanation for this tombstone considering the layout of the serpent. 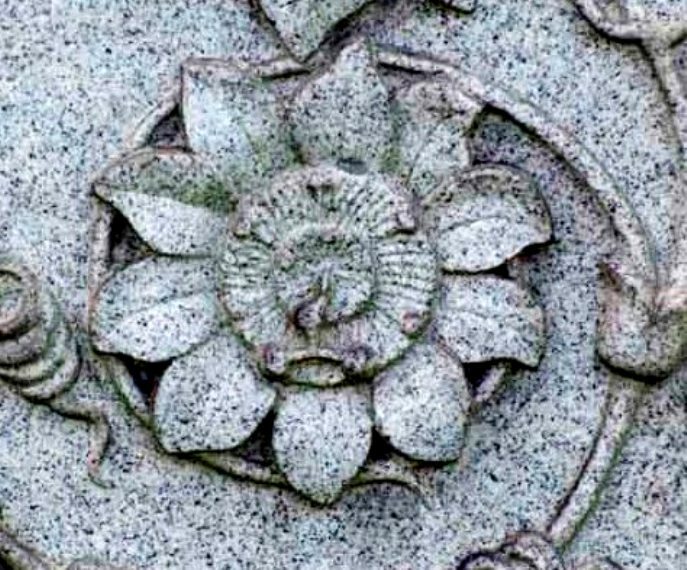 Perhaps together both symbols represents good versus evil, which I personally find a very strange concept to be carved on anyone's final monument. The other interpretation could be that the serpent represents everlasting life, because the snake cheats death by shedding its skin. 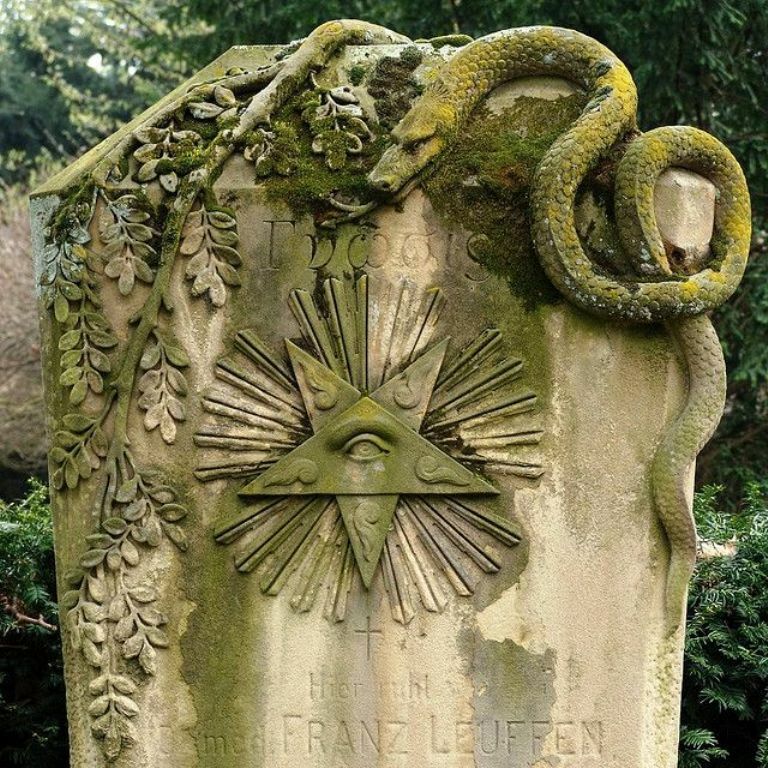 It is an unlikely explanation for this tombstone, however, since everlasting life is always portrayed as a snake in ‘ouroboros’ form, in that it creates the shape of a circle with its own tail in its mouth. 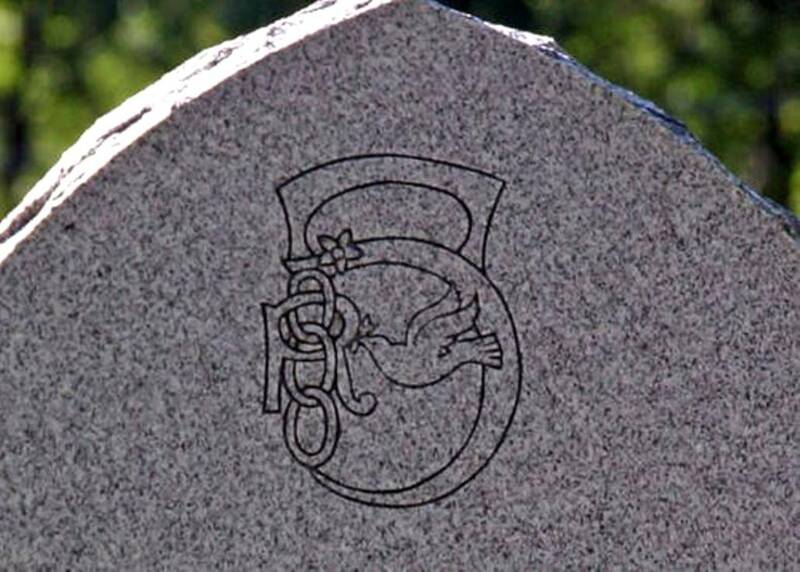 This tombstone does not show a snake in a circle. Edgar Allan Poe is buried in the Old Western Burial Ground In Maryland. 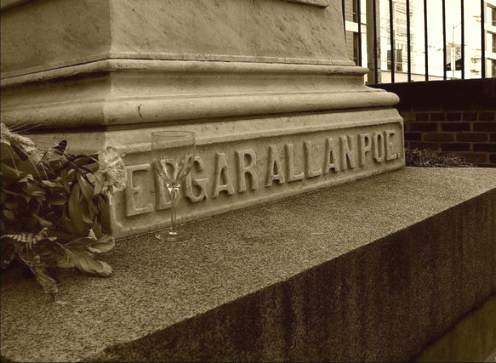 According to Ranker, this Baltimore graveyard is the final resting place of Edgar Allen Poe. Established in 1787, it is also known as the Presbyterian Churchyard and is located next to Westminster Hall. Both the hall and cemetery are said to be haunted. The apparition of Poe has been seen in the graveyard, lamenting that his untimely death prevented him from marrying. 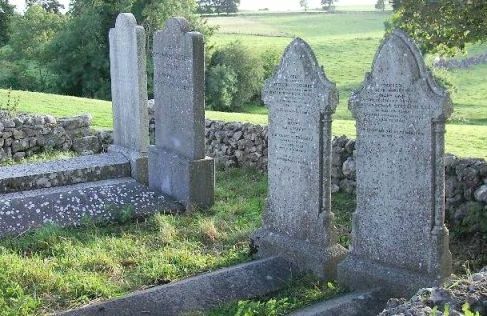 The ghosts of those allegedly buried alive in the cemetery have appeared, seeking out those responsible for their grisly fate. The notorious "Skull of Cambridge" is also buried here. Said to be the head of a murdered minister, the skull allegedly emits screams that drive people mad. 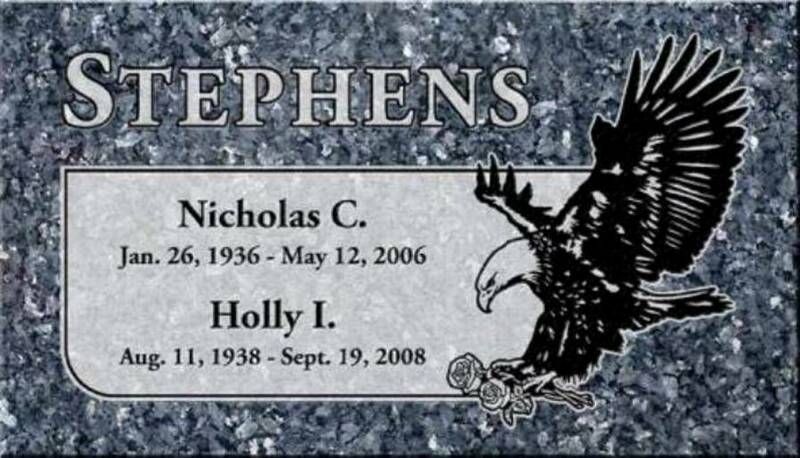 History of Funerals in the U.S.A. In early America, home funerals were the practice everywhere, and each community had a group of women who came in to help with the "laying out of the dead." Visitation was held in the front parlor, followed by a procession to the church and cemetery. 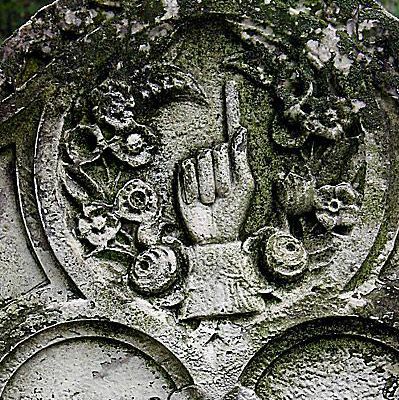 Until the mid 1800s, most families cared for their own dead. They prepared, dressedand displayed their loved ones within the confines of their own home. Early American houses often did not have parlors, however as houses grew, and national mannerisms became more set, proper families made sure they had front rooms filled with their finest possessions, quality furniture, portraits, sterling silver and often a piano. Because these rooms were usually clean, closed off, and quite formal, people often used them when someone died as a place to lay out the body and allow funeral visits. The body was usually displayed in a casket that was made or even purchased at the General store. Most grander homes of the 19th century had a false, or "death door" placed off of the formal room, that led to the outside without steps to remove a deceased family member. It was considered improper to remove a body through the door, the living crossed to enter, also, it was considered bad form to carry them out feet first. 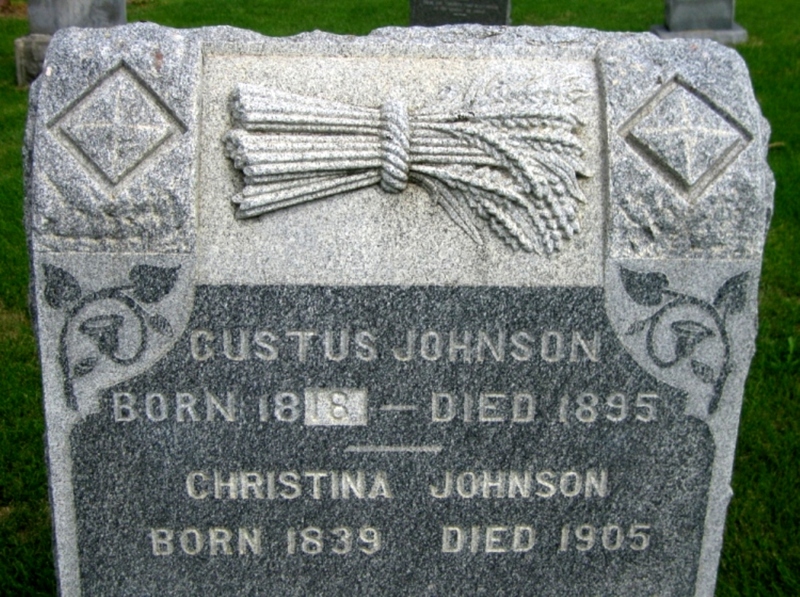 Later a grave was dug, in the family cemetery. Since home parlors have been largely replaced by funeral homes, the formal front room, or parlor, has been turned into the modern family living room.